A tradition of usefulness for helping both chronic and acute urinary tract infections. Note: Acute urological infections are frequently caused by a systemic infection manifested in the urological tract, while chronic cystitis results from an impaired metabolism that accompanies old age or a prostate infection. This homeopathic remedy helps address the underlying cause of cystitis, nephritis, cystopyelitis, cystopyelonephritis, urethritis and neuralgia vesicae while also addressing symptoms such as weakness, burning sensations and painful urination. 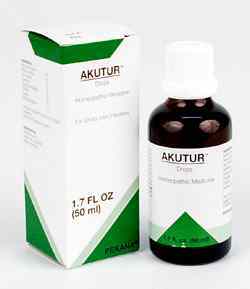 As a dietary herbal supplement AKUTUR has a herbal and homeopathic tradition of improving urinary tract metabolism. As such AKUTUR has traditionally been useful as a supportive adjunct for Urinary tract infections, both acute and chronic. SyInfect or SyImmune (or Notatum suppositories) along with intermittent doses of Aspergillus and Mycobactin S.
A therapy that also includes TOXEX drops and OPSONAT drops will achieve best results. To flush the urinary tract and aid the healing process, please drink plenty of warm fluids such as herbal chamomile tea. Please note: As a rule, acute cystitis is a systemic infection, while chronic cystitis is caused by a compromised or impaired metabolism that accompanies old age or a prostate infection. Urinary tract infections do not occur in a vacuum. They generally occur due to a general condition of being run-down and overly stressed. Sleep deprivation can bring on UTIs. When chronic or recurring UTIs are occurring despite good stress management and adequate sleep, please be properly evaluated for underlying factors such as infection, estrogen deficiency, physical abnormalities of the kidney or bladder, and kidney stones. INDICATIONS: For acute and chronic urinary tract infections, like cystitis, urethritis, nephritis, cystopyilitis and cystopyelonephritis. ADEL 29 (AKUTUR) drops provide a fast, powerful therapy for acute and chronic urological infections, including cystitis, urethritis, nephritis, cystopyelitis, cystopyelonephritis and neuralgia vesicae. As a biological alternative to antibiotics, this remedy usually eliminates even the toughest urinary tract infections within a few days, especially those prevalent in young girls or women. ADEL 29 (AKUTUR) drops can also be prescribed for pain that accompanies infections of the urological tract, including kidney discomfort. A therapy that also includes ADEL 66 (TOXEX) drops and ADEL 32 (OPSONAT) drops will achieve best results. To flush the urinary tract and aid the healing process, patients should drink plenty of warm fluids such as herbal chamomile tea. Please note: As a rule, acute cystitis is a systemic infection, while chronic cystitis is caused by a compromised or impaired metabolism that accompanies old age or a prostate infection. Failure to resolve symptoms within 24 to 48 hours should be assessed for need for allopathic intervention. Urinary tract infections, both acute and chronic. Populus tremuloides 2X helps eliminate symptoms of bladder inflammation, including pus in the urine and painful urination. 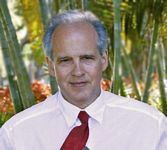 This type of infection is frequently found in older patients with prostate disease and pregnant women who may also experience uterine and vaginal problems.